1. Rinse and cut each potato in half. Put into medium size bowl. 2. In a small bowl add olive oil, season salt and pepper. Stir. 3. 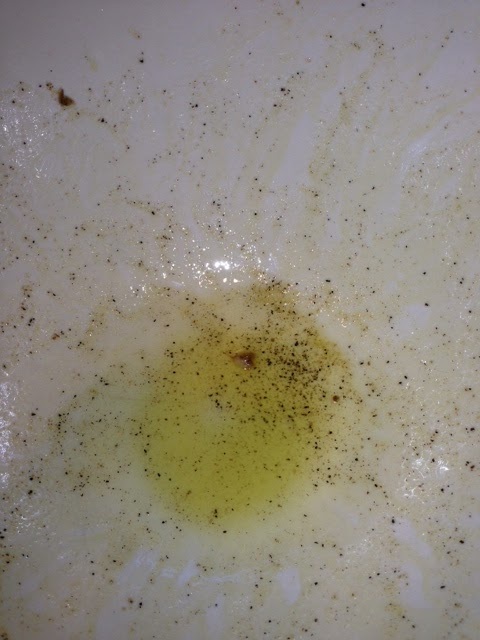 Add seasoned oil to potatoes and toss. Make sure they are all coated. 4. 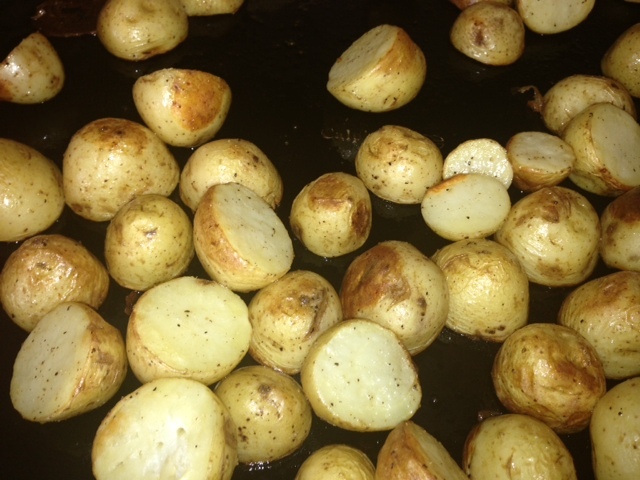 Add the seasoned potatoes on to a large cookie tray , but keep the bowl where the season oil was in. We will be using this, set aside. 5. 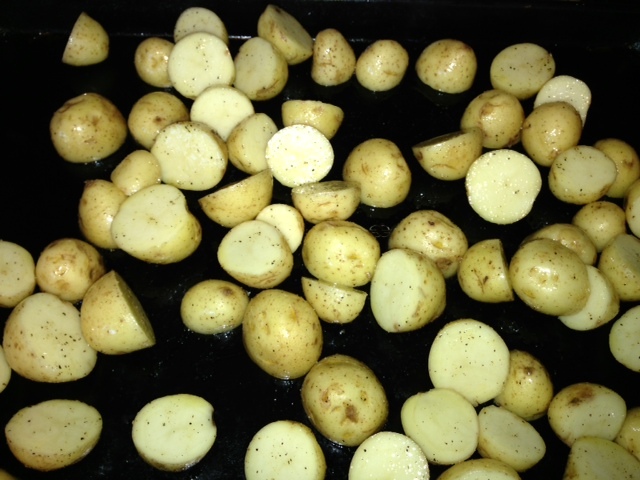 Put potatoes in the oven, and set your timer for 20 minutes since you will need to stir. 6. 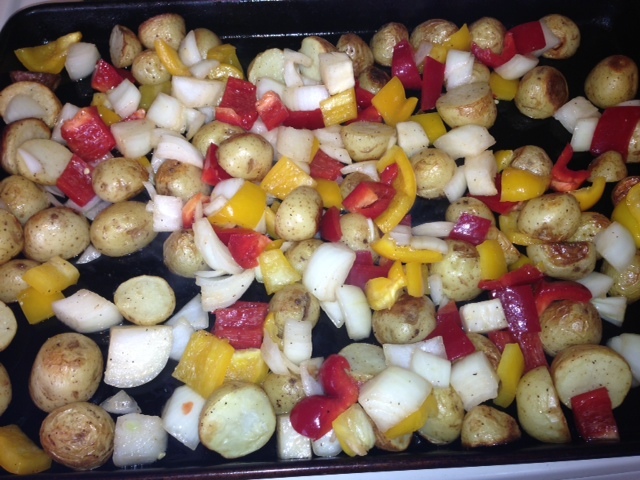 While potatoes are roasting, chop up the onion and pepper into ¾ to 1 inch cubes. 7. 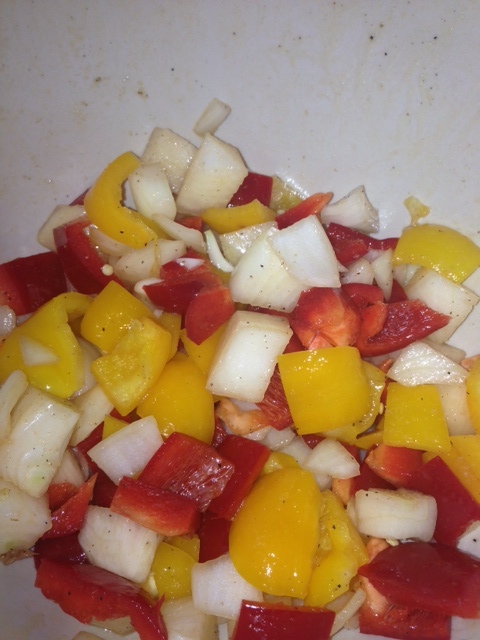 Toss onions and peppers into the bowl that had the seasoned oil. 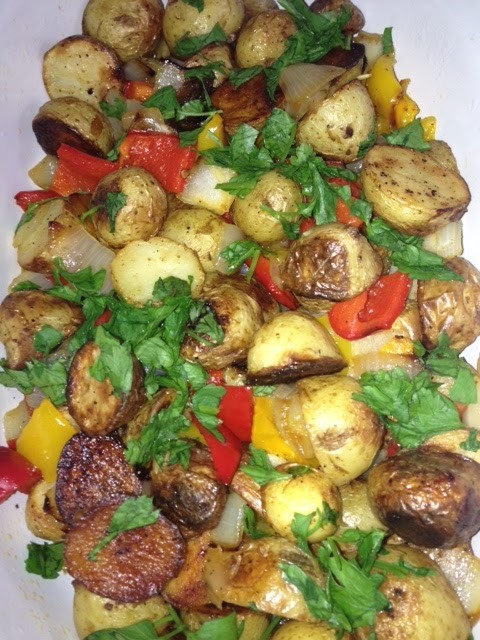 If the vegetables do not get completely coated, add another tablespoon of olive oil. 8. 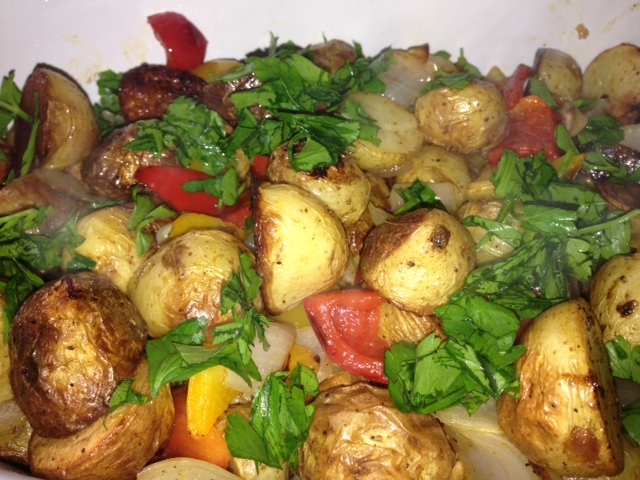 Chop parsley and set aside to top finished potatoes. 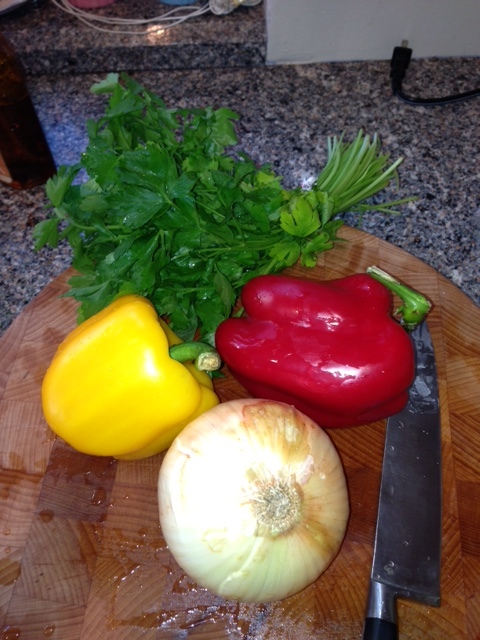 Stir in the onions and peppers. 10. Put back in the oven and roast for another 15 minutes. 11. 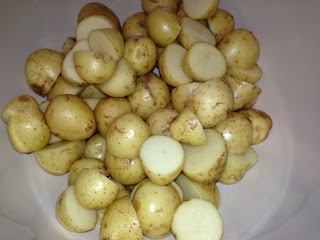 Once timer goes off, using a fork, check to see that the potatoes are done. Fork should go right though potato with ease. If not, bake for another 10 minutes. 12. Once done, put finished potatoes and veggies in a serving bowl. 13. Add chopped parsley and serve. Last week's tragedy in Connecticut had me thinking about past cookie bakes, the friends who have come and gone, and wondering what the future holds. 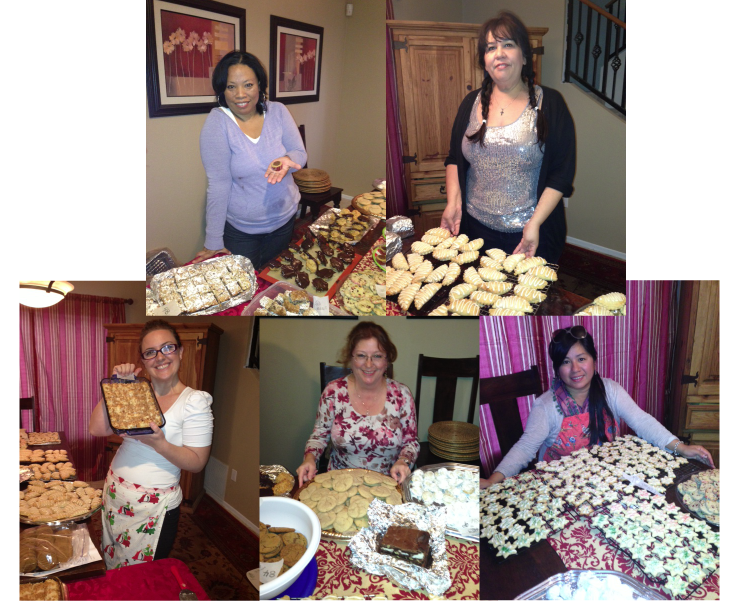 Will my friends and I continue baking until we're little old ladies? Will the tradition go on even if I'm no longer around? To be honest, getting together every year to bake cookies is more about the friendship than the food. It's a time when we reflect on the past year, talk about our kids, our health, marriage and relationships, look back at where we started and how far we've come. And while we may be exhausted at the end of the day, it's still a day we look forward to from the moment the last tray of cookies comes out of the oven. 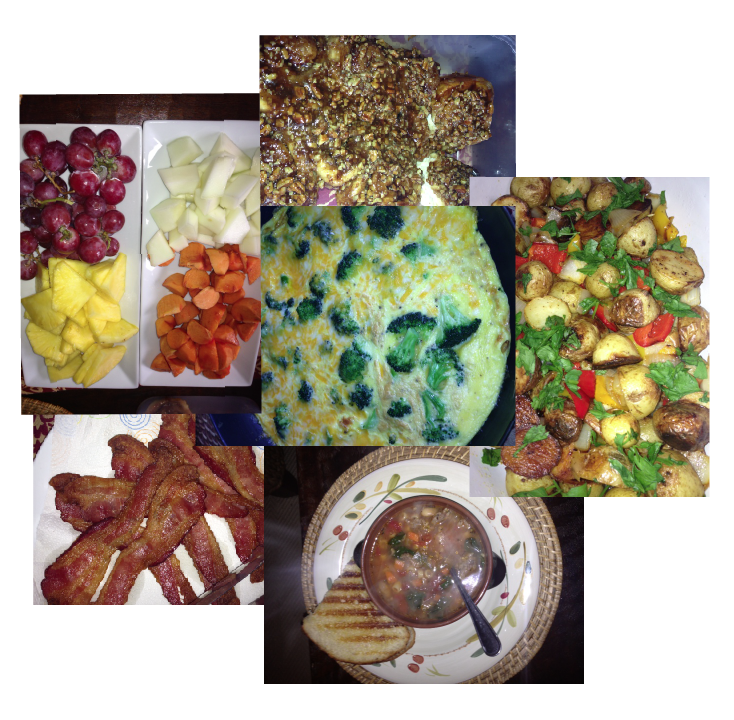 As usual our day started out with breakfast; Broccoli and Cheddar Frittata, Roasted Potatoes, Oven Baked Bacon, Fruit and Tim's famous Sticky Buns. 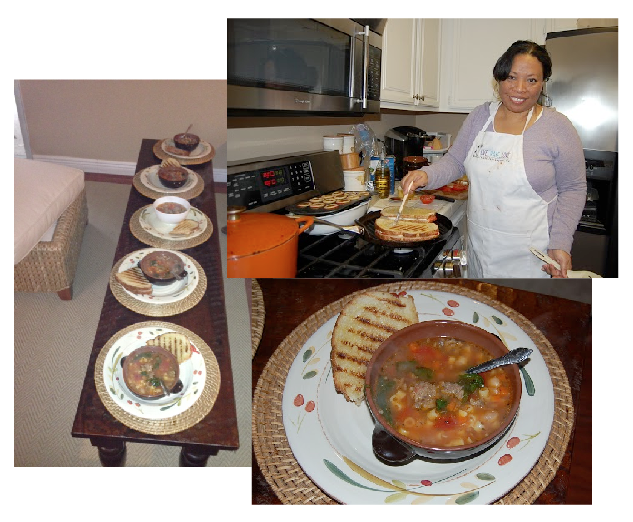 In between the baking and singing, we managed to find time to take a quick break for lunch; Pasta Fagioli Soup and Tomato & Mozarella Panini. Most of the recipes for the cookies we made this year can be found here (from last year's cookie bake). 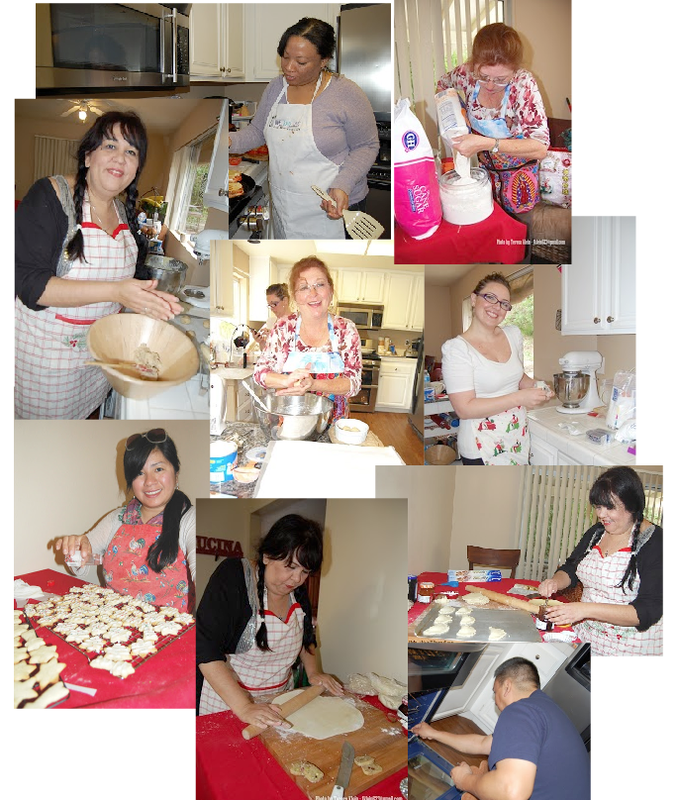 This year, we're sharing the recipe for the amazing Lemon Poppy Seed Cut Out Cookies that Teresa made at the spur of the moment when we realized we didn't have any lemon cookies! They were a huge hit and definitely one of my new favorites. 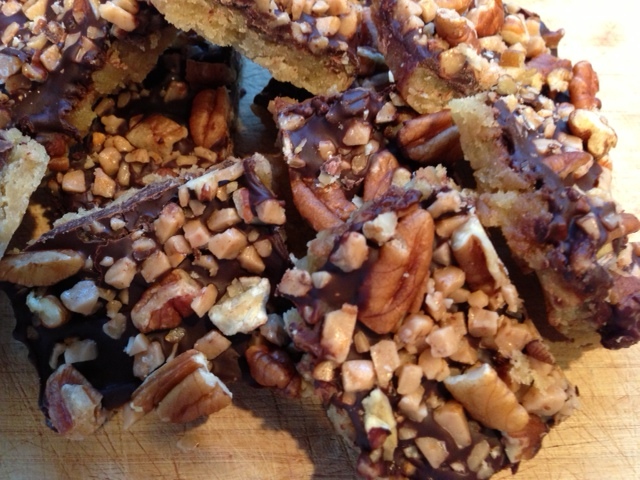 We hope you'll add this recipe to your holiday baking. It's definitely a keeper! 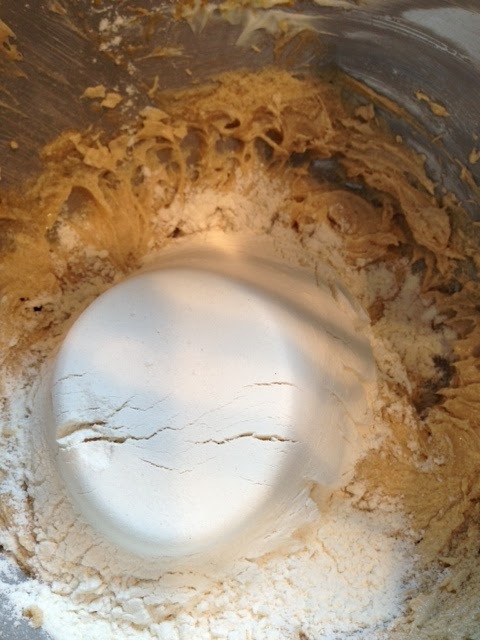 In a medium mixing bowl, whisk together the flour, baking powder and salt. Stir in the poppy seeds. In a large bowl using an electric hand mixer, cream the butter and powdered sugar until light and fluffy. Add the egg, lemon zest, lemon juice and vanilla bean paste and mix until combined. Add the dry ingredients and mix until the dough forms a ball. Roll out onto a flour surface about 1/4" thick. Cut into desired shapes with cookie cutters and place on parchment lined baking sheets. Bake for 7-9 minutes or until just very lightly browned around the edges. Remove from to cooling rack to cool completely. 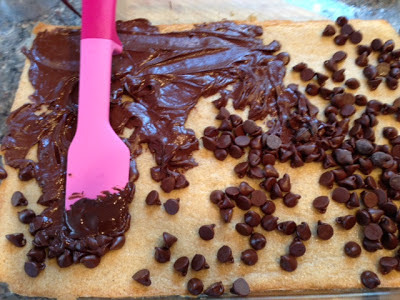 While cookies are cooling, make the icing by combining all of the icing ingredients in a medium size bowl. Add more powdered sugar if needed to reach desired consistency. Frost and decorate cooled cookies. Store in an air tight container at room temperature for up to 3-4 days. 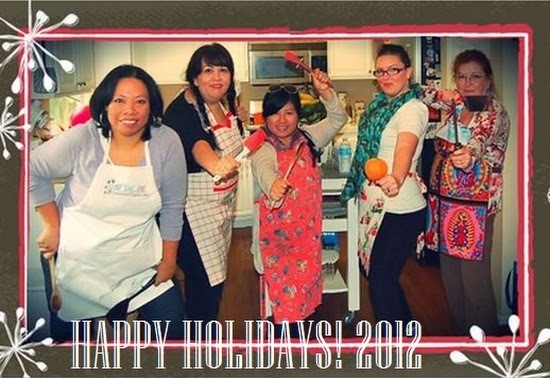 So from our homes and hearts to yours, we wish you the happiest of holidays and a sweet new year! Remembering those who lost their lives and praying for the loved ones left behind. 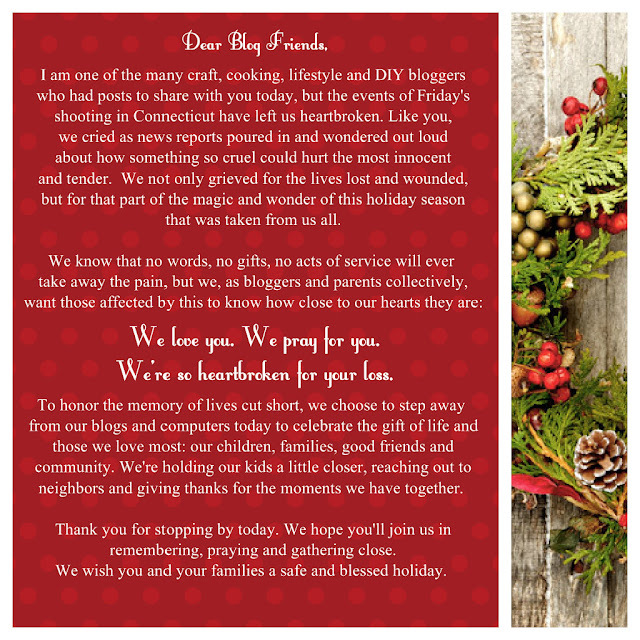 We keep you all in our hearts, thoughts and prayers. One of the down sides of moving to the northern part of San Diego County is I don't get to see my son, Chris, as much as I would like. This weekend my husband had some errands to run in the South Bay so I decided to surprise Chris with some homemade cookies. 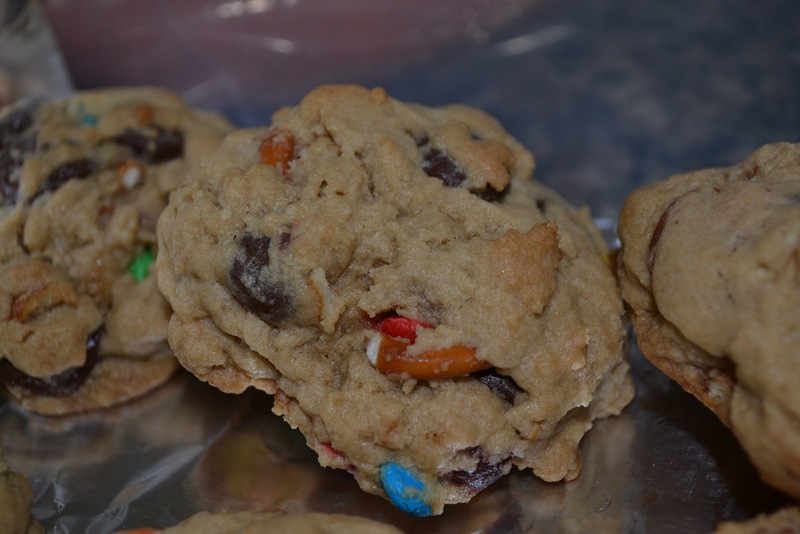 I know how much he misses my baking : ) Instead of the basic Chocolate Chip, which is one of his favorites, I decided to make something different - Mini M&M Pretzel Chocolate Chip Cookies. The mini M&M's are the perfect size for a cookie and the chopped up pretzels add a slight saltiness and crunch. I couldn't stop there, of course I had to throw in some chocolate chips for good measure. 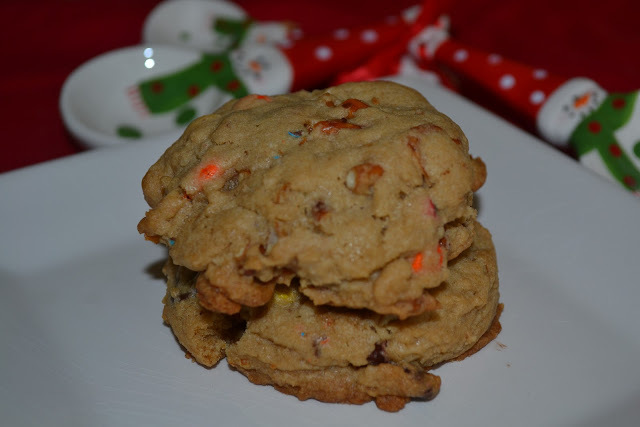 Chris rated these cookies as superb and said they are now one of his all-time favorites! 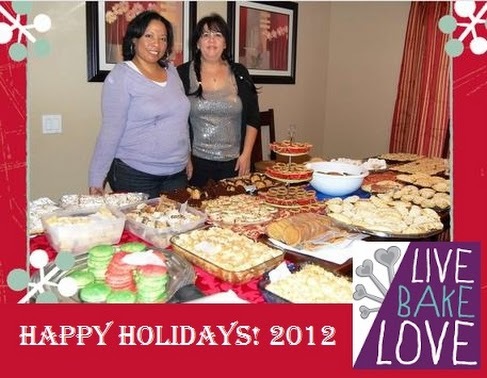 Whether you are baking for a loved one or just yourself, I hope you'll give this recipe a try! Line 2 baking sheets with silpat or parchment paper. In a medium size bowl, combine the flour, cornstarch, baking soda and salt. Whisk to combine. 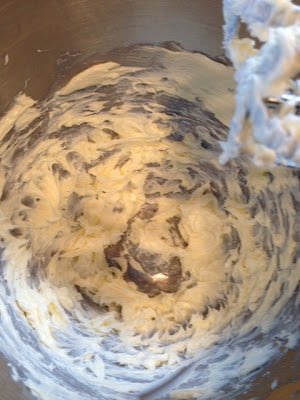 In a large bowl with an electric mixer or stand mixer fitted with the paddle attachment, cream the butter and sugars together at medium speed until light and fluff (approx 3 minutes). 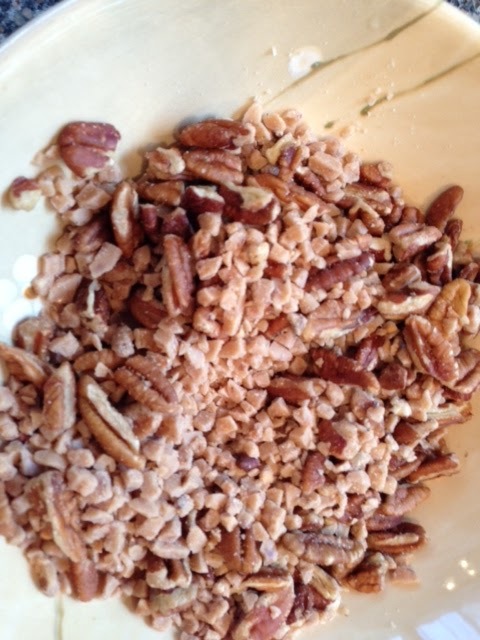 Scrape down the bowl and add the egg and vanilla extract. Mix at medium speed until combined. Add the flour mixture and mix at low speed until combined. 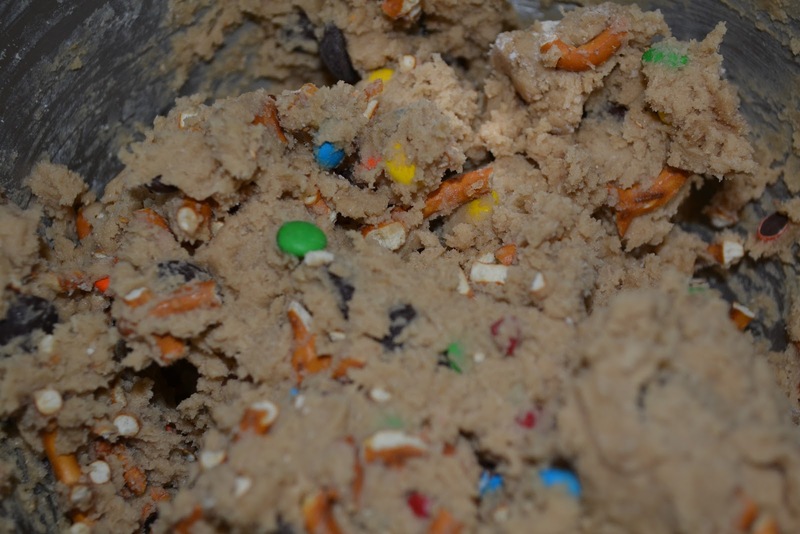 Fold in the M&M's, chopped pretzels and chocolate chips. 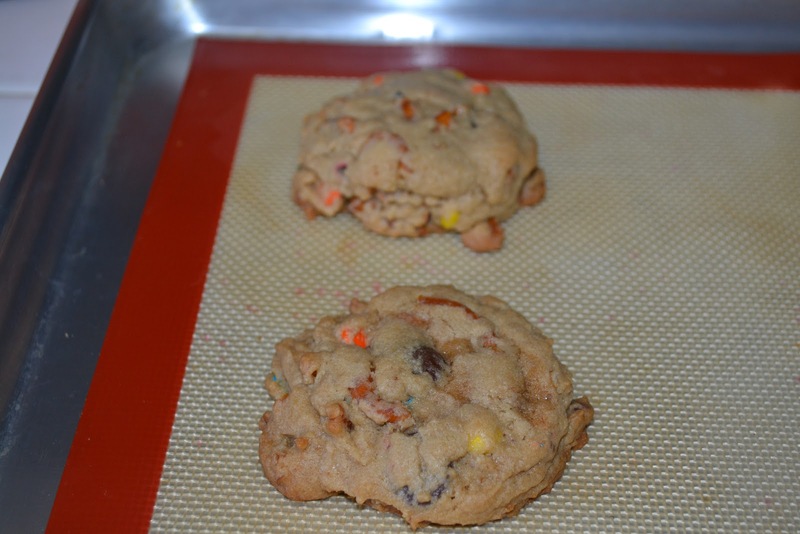 Using a large cookie scoop (or small if you prefer smaller cookies), place 6 scoops of dough onto each cookie sheet. Flatten slightly with the palm of your hand. 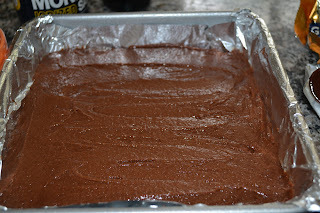 I didn't do this with my first batch and I prefered the look of the batch that was slightly flattened before baking. 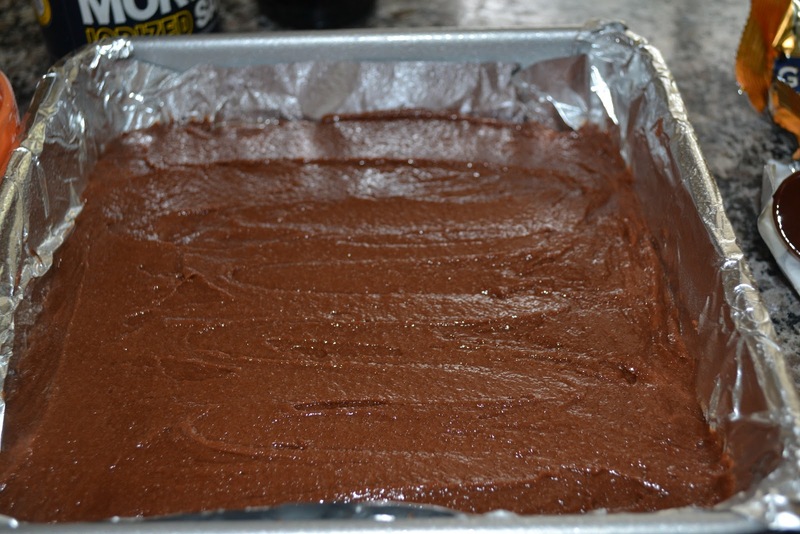 Bake for 9-10 minutes or until lightly browned around the edges. Remove from oven and allow cookies to cool on the baking sheet for about 5 minutes. 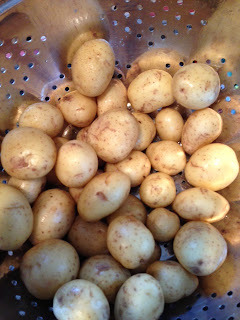 Remove to a cooling rack to cool completely or enjoy warm! 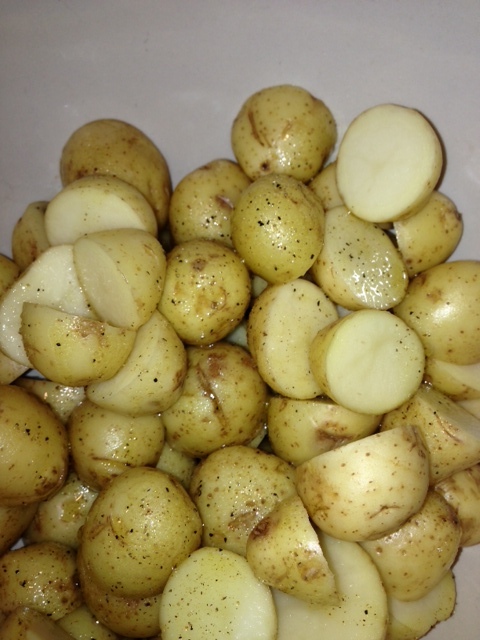 Store leftovers (if any) at room temperature in an air tight container for up to 2 days. This is the type of recipe that is perfect for a gift and super easy to make. I needed something to make last week for a house warming party. Once again I looked at what I had in my pantry and found that I had ½ a bag of toffee bits. Hmmmm..what to make…what to make! 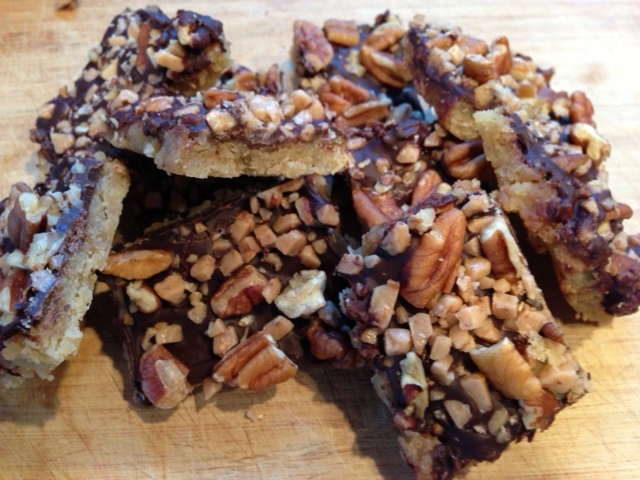 I did a little searching and found a recipe for Toffee bars in a old cook book I had. I have now made the recipe twice and I think this new and improved recipe is amazing. 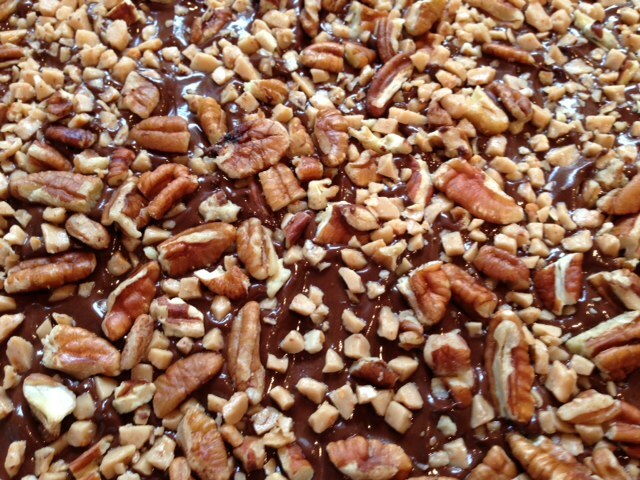 Added a bit more toffee , a bit more pecans and a more CHOCOLATE of course! 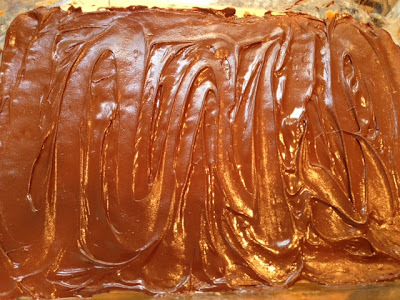 I hope you enjoy These PERFECT TOFFEE BARS. 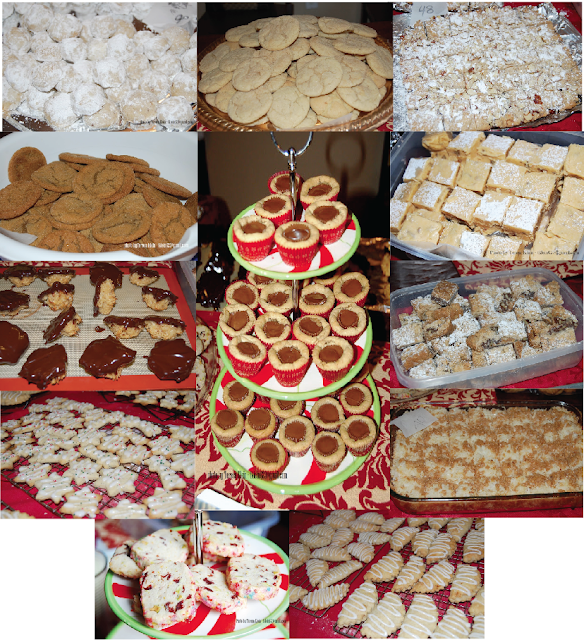 Perfect for a holiday treat for your friends and family or yourself of couse! 1. 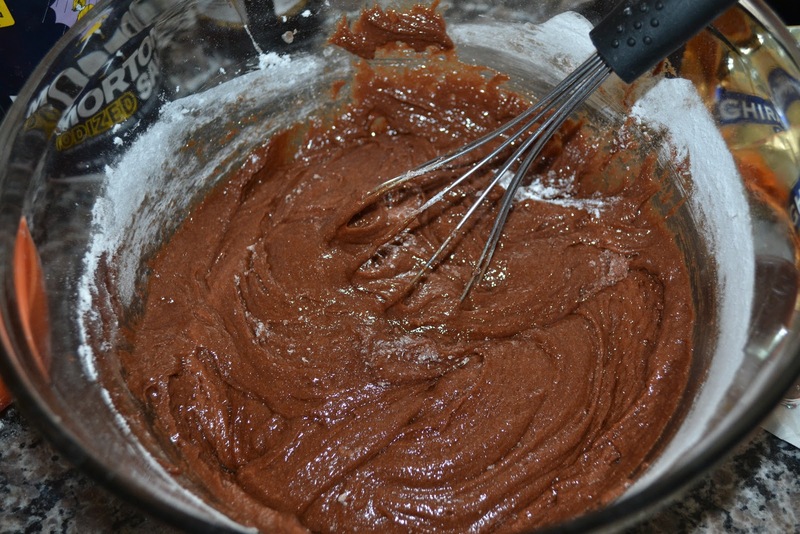 Mix together with electric mixer soften butter. 2. Add brown sugar, egg and vanilla to butter. Beat until will combined. 3. 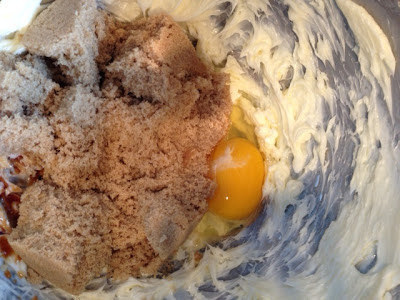 Add flour and salt to egg mixture till all combined. 5. Bake for 15 minutes. The sides will be come a light brown and the top will be dry. 6. 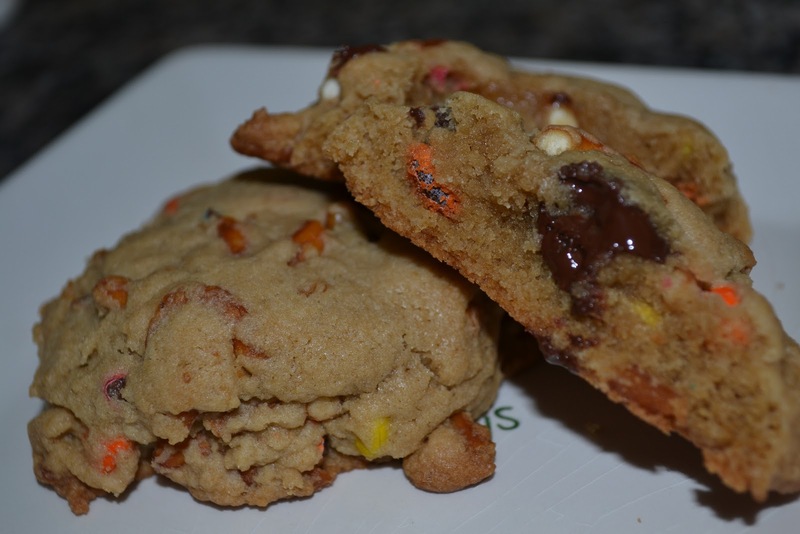 Once your remove from oven, immediately sprinkle the cup of chocolate chips evenly over baked cookie. Wait about 3-5 minutes. The chocolate chips will melt. Using a spatula, spread the chocolate evenly over the cookie until the chocolate completely cookie. Sprinkle over the chocolate. 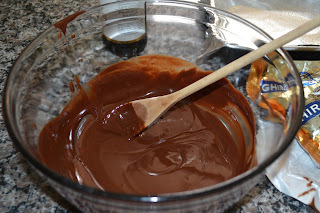 Using your hand, gently press the pecan and toffees into the chocolate. 8. 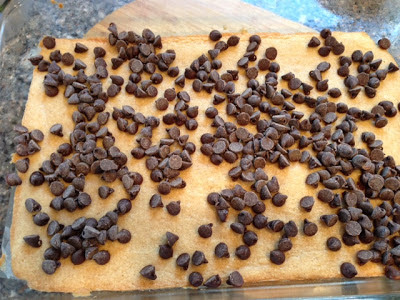 Cut into bars and put on a baking rack to cool. Chocolate will be come hard. If you need them faster for a party , like I did. I popped them into the refrigerator for 30 minutes. 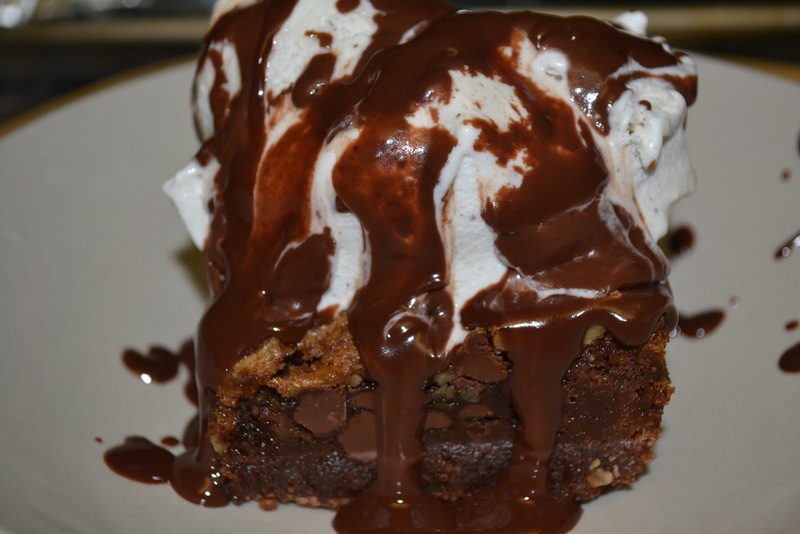 What can be more delicious than homemade brownies? 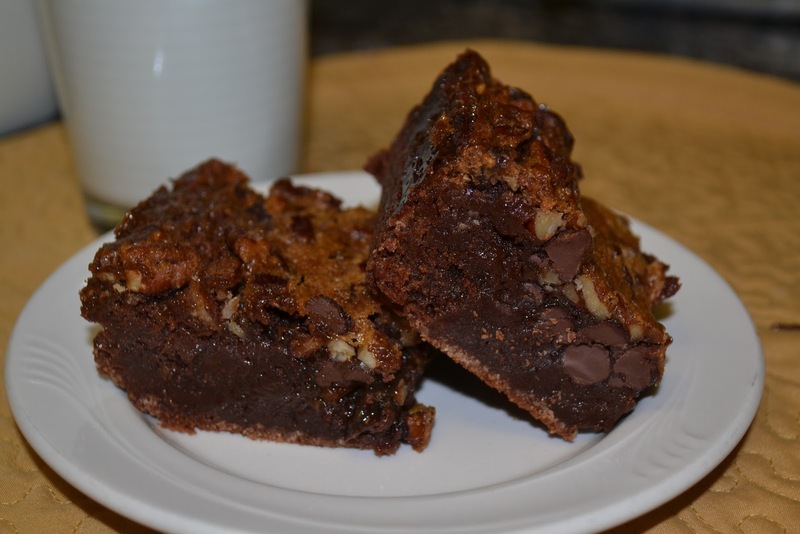 How about homemade Pecan Pie Brownies? 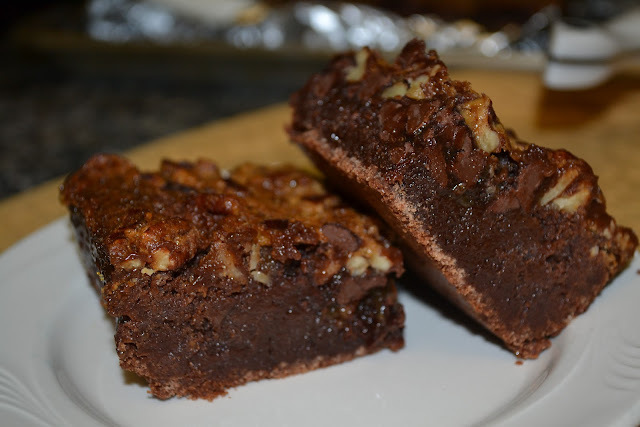 These brownies are rich, decadent and delicious. 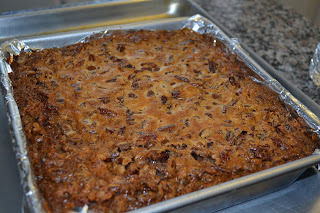 The topping and exterior are crisp, nutty and slightly chewy while the interior is rich and gooey. These brownies are best served slightly warmed up topped with a large scoop of vanilla bean ice cream and a generous drizzle of chocolate syrup. 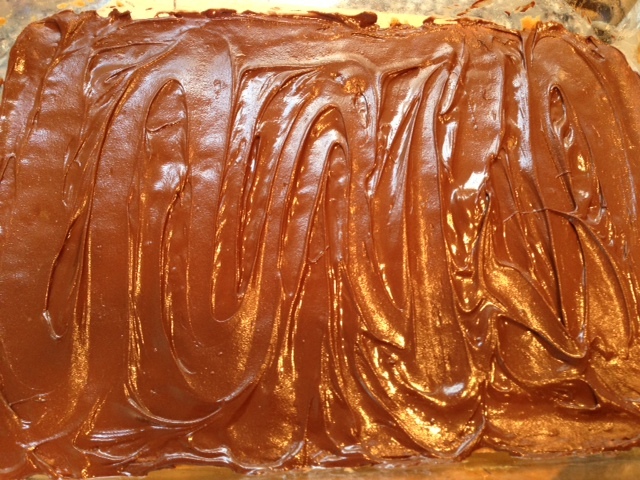 Line a 9x9" baking pan with non-stick foil or spray regular foil with non-stick spray. In a large glass bowl, microwave the butter and chocolate chips in 30 second intervals until melted , stirring well after each interval. Whisk in the sugar until completely incorporated. Then whisk in the eggs and vanilla extract. Whisk in the flour and salt just until combined. While the brownies are baking, make the pecan pie topping. 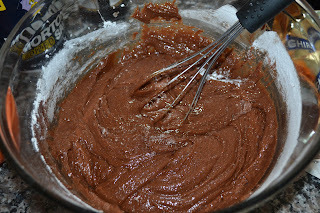 In a large bowl using an electric hand mixer (or in the bowl of your stand mixer fitted with the paddle attachment), mix together the corn syrup and brown sugar until completely combined. 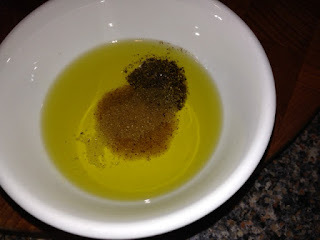 Slowly add the melted butter (I did mine in 1/2 tablespoon increments) and mix until combined. 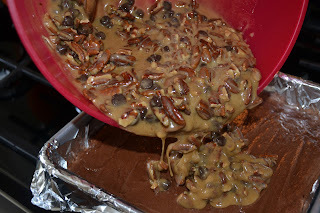 Stir in the chopped pecans and chocolate chips. 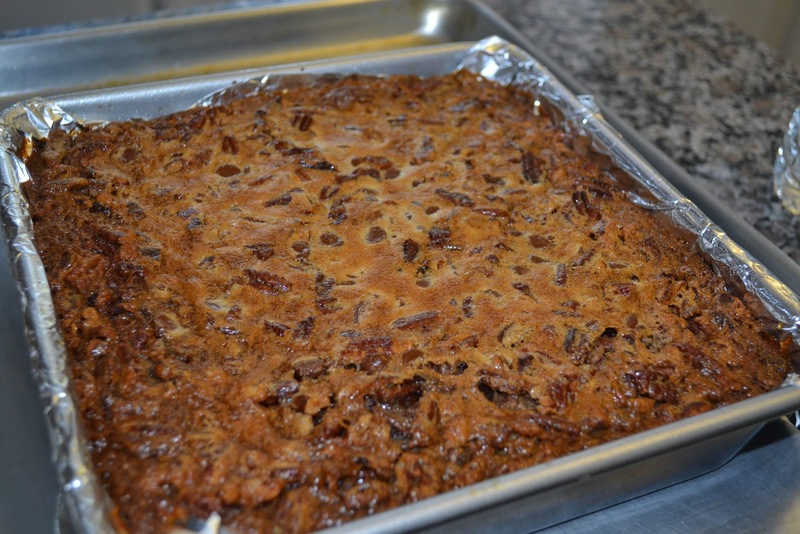 Remove the brownies from the oven after 10 minutes and pour the pecan pie topping over the brownies distributin g evenly over the top. Return the pan to the oven and bake for 45-50 minutes more or until the top is set. If the edges start to brown too much during the baking process, tent the pan with foil. When the top feels completely set to the touch, remove from the oven and allow to cool on a wire rack for 2 hours. Store leftovers for up to 2 days tightly wrapped in foil or in an air tight container at room temperature.